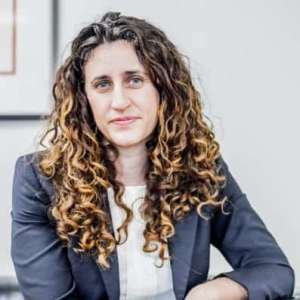 July 31, 2018 – One of Oregon’s most prominent cannabis attorneys, Amy Margolis, is under investigation by the Oregon State Bar, according to information obtained by Oregon Cannabis Connection (OCC). Margolis is the organizer and founder of the Oregon Cannabis Association, one of the states leading cannabis political action groups. Complaints against Margolis and four other attorneys involved in the case were filed July 4th by her former clients Sarah Jane Whitehouse (aka Sarah Jane) and her partner Ian Whiteman. The Margolis complaint alleges ethical violations occurred relating to a landlord dispute where Whitehouse and Whiteman had their recreational cannabis grow and the couple had hired Margolis as their attorney. They indicate in their complaint that Margolis had a undisclosed conflict of interest and also claim that she and became outwardly dismissive to them as their case against their landlord progressed, failing in her professional duties as counsel. It was also alleged that she failed to file a single discovery motion in their case or properly respond to communications from opposing attorneys. 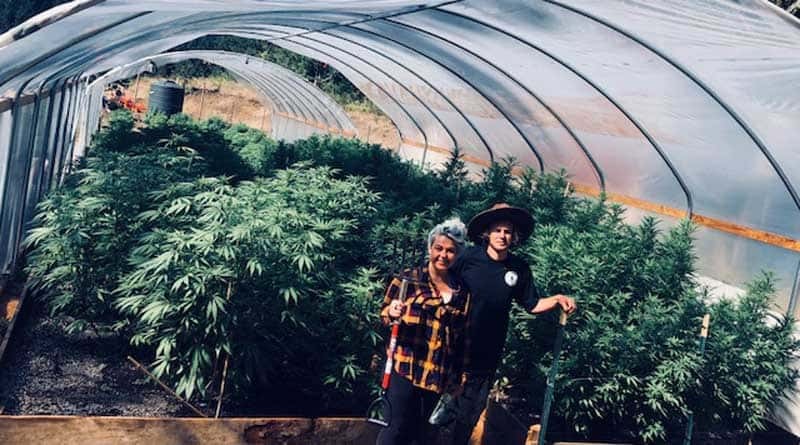 As a start-up company in the Oregon cannabis industry, Whitehouse and Whiteman faced many obstacles without the complication of a landlord dispute and unexpected attorney’s fees. Whitehouse explained that when the attorney possibly doesn’t perform in a professional manner, the fees paid to them are an even greater waste of needed capital. She felt they had little recourse but to go to the OSB for a decision on the alleged unprofessional behavior. Oregon Cannabis Connection reached out to Margolis and Goodwin, but received no response. Scheibli was unable to be located. In all, eight potential violations (see below) of the Rules of Professional Conduct (RPC) by Margolis and are being investigated, six potential violations by Goodwin, and six potential violations by Scheibli (including Unauthorized practice of law). The complainees have until August 20 to respond to the allegations. Ms. Margolis, Mr. Goodwin, and Mr. Scheibli each represented Ms. Whitehouse at some stage in her legal matters. Ms. Margolis and Mr. Goodwin are licensed to practice law in Oregon; Mr. Scheibli is not. As to Ms. Margolis, the complainant’s concerns may implicate the provisions of RPC 1.1 [Competence], 1.3 [Diligence], 1.4 [Communication], 1.7(a)(2) [Conflict of interest], 1.8(b) [Conflict of interest: specific rules], 1.15-1(d) [Prompt delivery of client property], 1.16(d) [Duties upon termination], and 3.4(d) [Fairness to opposing party and counsel]. As to Mr. Goodwin, the complainant’s concerns may implicate the provisions of RPC 1.1 [Competence], 1.2(a) [Allocation of authority], 1.4 [Communication], 1.5 [Fees], 5.1[Responsibilities of partners, managers, and supervisory lawyers], and 8.4(a)(1) [Misconduct by knowingly assisting or inducing another to violate the RPCs, or doing so through the acts of another]. As to Mr. Scheibli, the complainant’s concerns may implicate the provisions of RPC 1.1 [Competence], 1.2(a) [Allocation of authority], 1.4 [Communication], 1.5 [Fees], 5.5(a),(b) [Unauthorized practice of law], and ORS 9.160 [Bar membership required to practice law]. The Oregon State Bar Client Assistance Office (CAO) has received the attached correspondence from Sarah Whitehouse expressing concerns about the above captioned lawyers’ conduct. The CAO is responsible for reviewing concerns regarding Oregon lawyers. Under Bar Rule of Procedure 2.5 and as resources permit, CAO determines the manner and extent of review required to decide whether there is sufficient evidence to support a reasonable belief that lawyer misconduct may have occurred warranting a referral to Oregon State Bar Disciplinary Counsel. Misconduct means a violation of the rules of professional conduct and applicable statutes that govern lawyer conduct in Oregon. With regard to Ms. Margolis, Mr. Goodwin, and Mr. Scheibli, I have identified in Ms. Whitehouse’s correspondence several allegations that potentially implicate our rules and statutes governing lawyer conduct, which I will address to each of you specifically below. With regard to Ms. Sullivan and Ms. Heekin, I conclude that there is no sufficient basis to warrant a referral to Disciplinary Counsel’s Office for further review, as I will also explain below. However, at the outset, I note that many of Ms. Whitehouse’s concerns are allegations of tortious conduct that do not implicate the duties of lawyers under Oregon law, and therefore do not fall within the bar’s jurisdiction. If Ms. Whitehouse believes she has legal claims against any or all of the lawyers named here, she is advised to contact a new lawyer about the merits of such claims. We are unable to provide legal advice or representation. Ms. Whitehouse may be able to get the name of a lawyer by calling the OSB Referral and Information Service at (503) 684-3763 or (800) 452-7636 (within Oregon). She may also contact that department by writing to the bar’s address. To the extent that Ms. Whitehouse’s concerns relate to alleged legal malpractice by her own counsel, Ms. Whitehouse or her new attorney may contact the Professional Liability Fund, Post Office Box 231600 Tigard, Oregon 97281-1600, if appropriate. The PLF provides professional liability (malpractice) coverage to most attorneys in private practice in Oregon. Additionally, Ms. Whitehouse has included in her correspondence complaints about Charlie Van Rossen, who is a CPA. I do not find in Ms. Whitehouse’s concerns about Mr. Van Rossen any suggestion that he practiced or purported to practice law or held himself out as a lawyer. Therefore, her concerns regarding his actions are outside the bar’s jurisdiction. Allegations regarding Ms. Sullivan and Ms. Heekin. The Bar cannot establish a violation of its rules if the claims asserted by a lawyer reflects a plausible theory and has some factual basis. In re Marandas, 351 Or 521, 533-540 (2012). The lawyer’s legal argument need not be compelling, convincing or persuasive; as long as there is an arguable basis to assert the position, the attorney is permitted to assert it on behalf of a client. Additionally, in determining the factual basis for a claim, a lawyer is entitled to rely upon information received from her client. See, e.g., In re Johnson, 300 Or 52, 62 (1985) (Bar could not require lawyer to doubt veracity of client in assessment of what facts a lawyer knew or should have known). The Oregon State Bar is not the appropriate body to determine whose version of events or legal arguments are correct – this is the purpose of litigation. Because we find no professional misconduct, we will take no further action on this matter as to Ms. Sullivan and Ms. Heekin. Ms. Whitehouse, if you disagree with this disposition, you may have the matter reviewed by General Counsel, provided we receive your request for review in writing no later than August 20, 2018. The decision of General Counsel is final. In order for me to conduct a fair and informed review, I would like to have each of your accounts of the matter no later than August 20, 2018. I am able to grant an extension of the time to respond for good cause, if requested before the deadline. Please submit your response via email to cao@osbar.org, using the subject line DPA 1801109. It is not necessary to also mail a paper copy of your response. A copy of your responses will be sent to Ms. Whitehouse. If appropriate, I may request that she comment on your responses. Please keep in mind that all material submitted by the parties in the course of this review is considered public record and both parties will receive copies. Please limit your response and any documents you send to the ethics issues presented. I am confident I will receive your full cooperation in this matter. You should be aware, however, that if you fail to respond to this request, this matter may be referred to Disciplinary Counsel. After I review all documentation and information gathered in this matter I will determine if there is sufficient evidence warranting a referral to Disciplinary Counsel for further evaluation pursuant to BR 2.5(b)(2). Thank you in advance for your cooperation. I look forward to a fair and expeditious review of this matter.